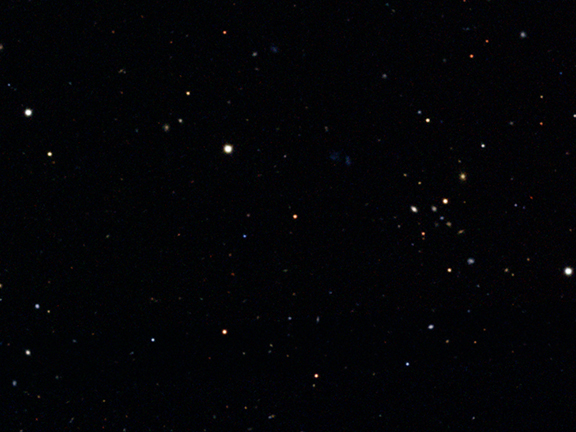 These images of X-ray data from Chandra, radio emission from MERLIN, and optical data from SDSS show a small region of the Chandra Deep Field North, one of the deepest X-ray images ever obtained. 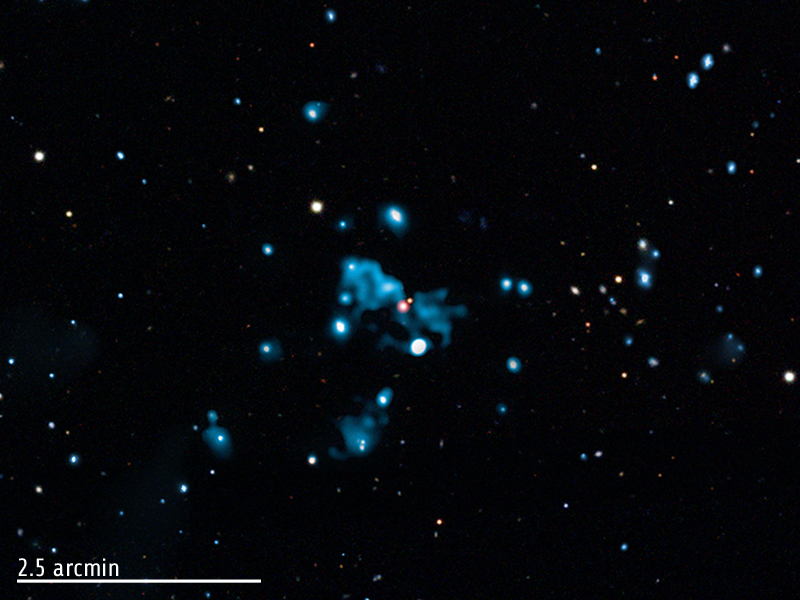 The diffuse blue object near the center is thought to be a cosmic "ghost" generated by a huge eruption from a supermassive black hole in a distant galaxy. 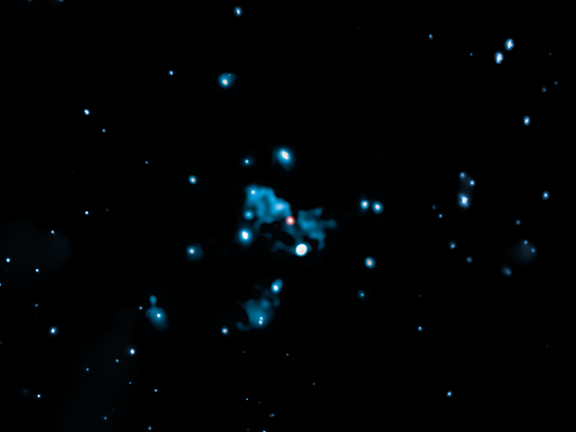 This X-ray ghost remains long after radio waves from the source have died off, giving astronomers an opportunity to study this phenomenon in the early Universe.